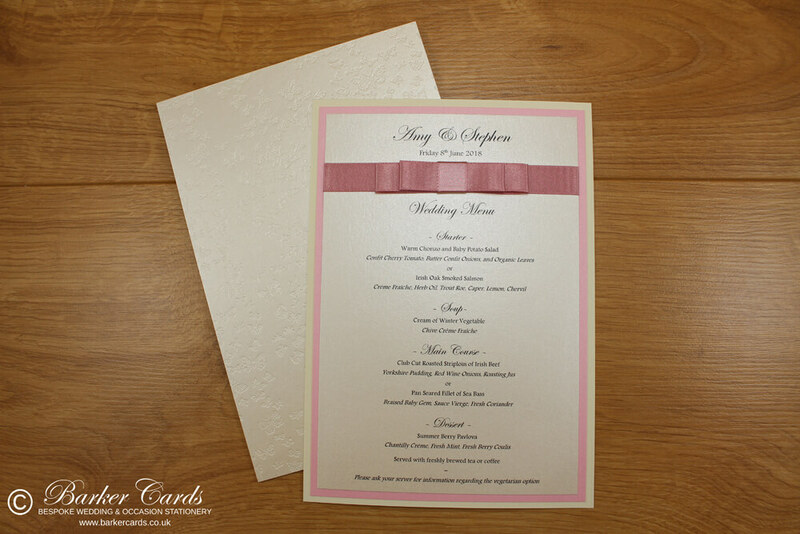 ranges are made from layers of luxury pearlescent card and satin ribbon. 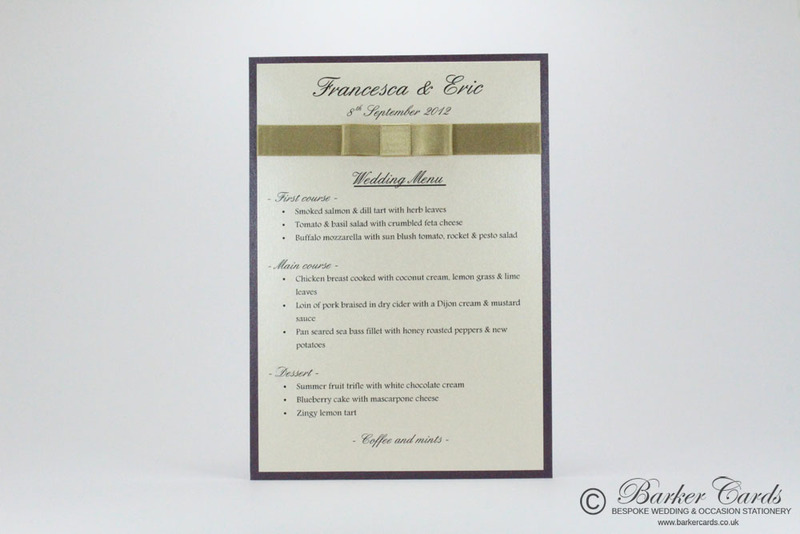 Printed with the bride and grooms names and wedding date at the top of the wedding menu. 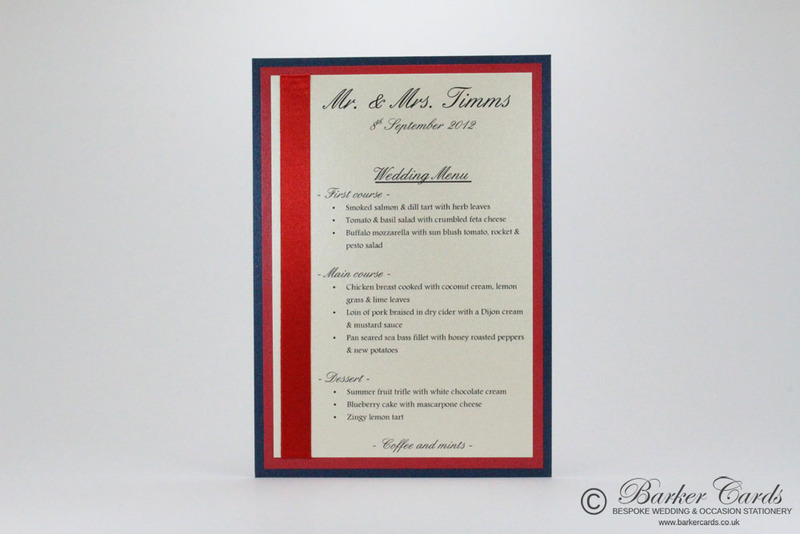 Beneath your names the wedding breakfast meal choices are professionally laid out to produce a luxurious wedding menu that will add a feel of elegance to your wedding day. 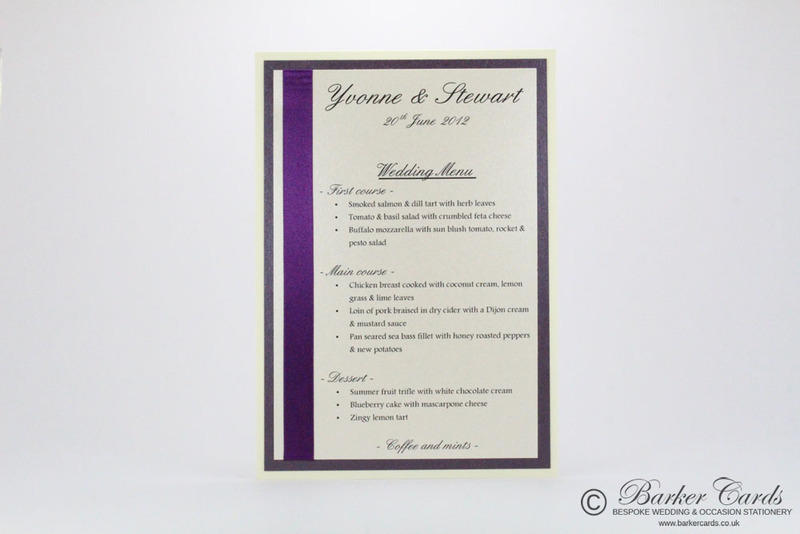 All our wedding menus are handmade to order and can be made to suit any wedding colours or wedding theme. 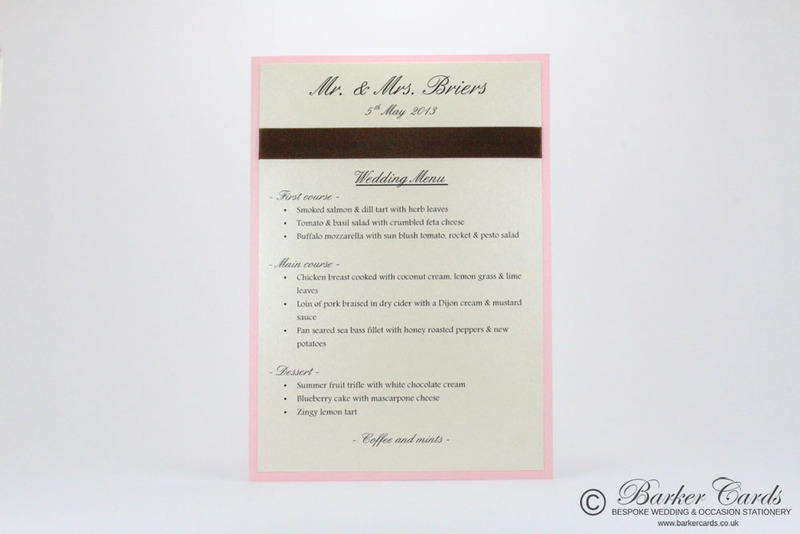 We're always happy to advise couples on colours layout and design to ensure that we produce a wedding menu that is perfect for your wedding day. 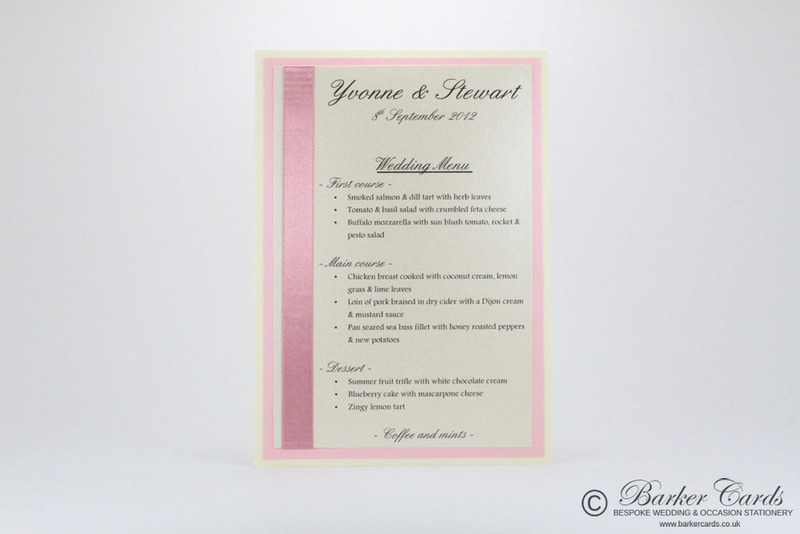 Please browse through the wedding menus below to see just a small example of what we can produce.